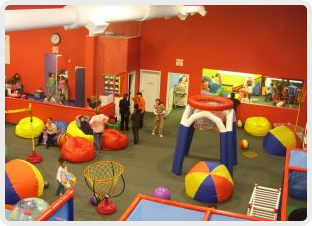 Balls of Fun is an indoor playground located in Mississauga. We have created the best kid-friendly ball gym that you can find! By creating two sections – one for babies and toddlers, and another for bigger kids, our indoor playground has become a go to place for children. 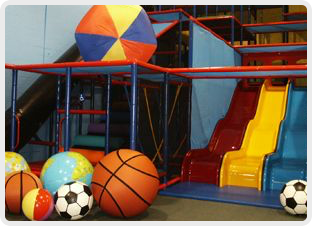 Our gym consists of ball themes that help kids develop vital skills needed for playing and sports in general. Kids are free to run around and aim balls, balance on balls, bounce, and participate in our exciting obstacle games. If you have been searching for a birthday or party place for your little one’s big day, then no look further! 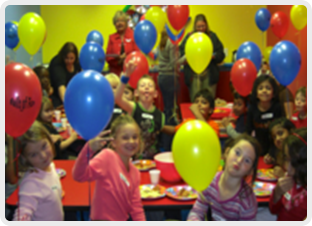 We host the best birthday parties for children at Balls of Fun. Be sure to check our Parties page for more details or contact us for further information. Spend quality time with your kids and encourage their self-growth and development in our indoor playground today! Proudly serving Mississauga, Oakville, Milton and surrounding areas!